Le Passé Composé is created with the verb avoir in most cases, however a fixed number of verbs use être as the auxiliary verb instead. They are almost all verbs to do with movement. Je suis venu te voir. Le voleur est entré par la fenêtre. The thief entered by the window. Vous êtes allés au cirque hier. You went to the circus yesterday. Marc est tombé par terre. Marc fell on the floor. Ils sont arrivés à l'heure. Note that you say: Je suis allé (I went) and not j'ai allé. 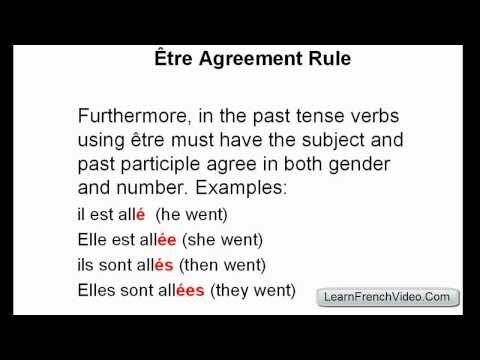 Note that the past participle following être agrees with the subject of the verb. Elle est allée au marché. She went to the market. 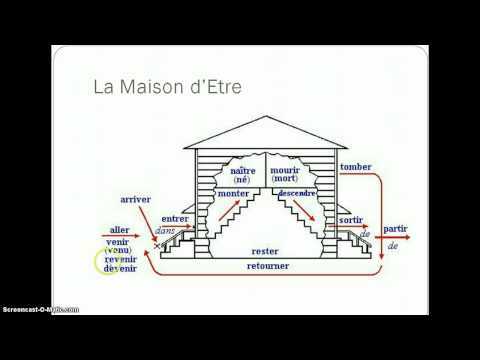 In the example “On est partis.” partis is made plural even though on is considered singular. Is this correct? In the question 'You came home late' should it have indicated whether the 'you' was male or female ? I believe it will accept either gender if there is no specific hint. 'Monter' and 'Descendre' weren't included on the list, but I believe they also conjugate with 'etre'. Do you cover these in a different topic? Monter et descendre can use both être and avoir and change meaning in doing so. There are lessons on this specific topic. arriver, to manage, also uses être as the auxiliary verb? Bonjour Terri, The rule is that when verbs like sortir and monter are transitive (followed by a direct object), they take avoir; otherwise it's être. In the case of arriver, it's impossible to use a direct object; therefore, the auxiliary is always être. I hope this helps, bonne continuation ! Is, tomber par terre, idiomatic? If not, why not use, plancher? And what happened to the definite articles? Bonjour Susan, Yes, "tomber par terre" is idiomatic. "Par terre" is a set expression meaning "on the ground." Tomber au plancher is also acceptable. Interesting, given the distinction drawn in English between "ground" and "floor" - even though this example is idiomatic. Merci! Vous êtes allés au cirque hier. Why does she pronounce the s in etes but not the s in alles? I think the reason is that some liaisons in French are voluntary, and this is one of them. You can pronounce the s in allés or leave it out whichever you prefer at the time. Though when reading poetry I believe it's normal to pronounce all possible liaisons.